(Price per mtr) £18.99 VAT Incl. (Bulk price per mtr) £14.99 VAT Incl. 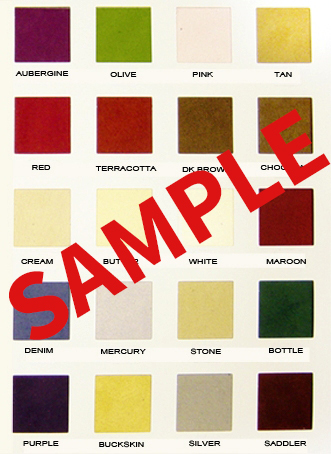 Get a sample of "Red"
To see an example of our shade cards, please click on the image below. The card shown in the image is just an example, the actual shade card will reflect colours shown on the product page. Glitter Fabric, Better known in the exhibition trade as moondust. Construction of the fabric is a 147grm poly/cotton base fabric coated all over total 100% coverage with fine glitter flakes creating an amazing sparkle effect, Ideal for stage sets, interior design, decor, exhibition back drops, wedding stages, wall decorating, craft projects, gives of an excellent sparkle effect, good choice of colours to choose from. Let your imagination go wild as you use our fabric to create beautiful projects. Order a sample of this fabric, we know you will simply love it.